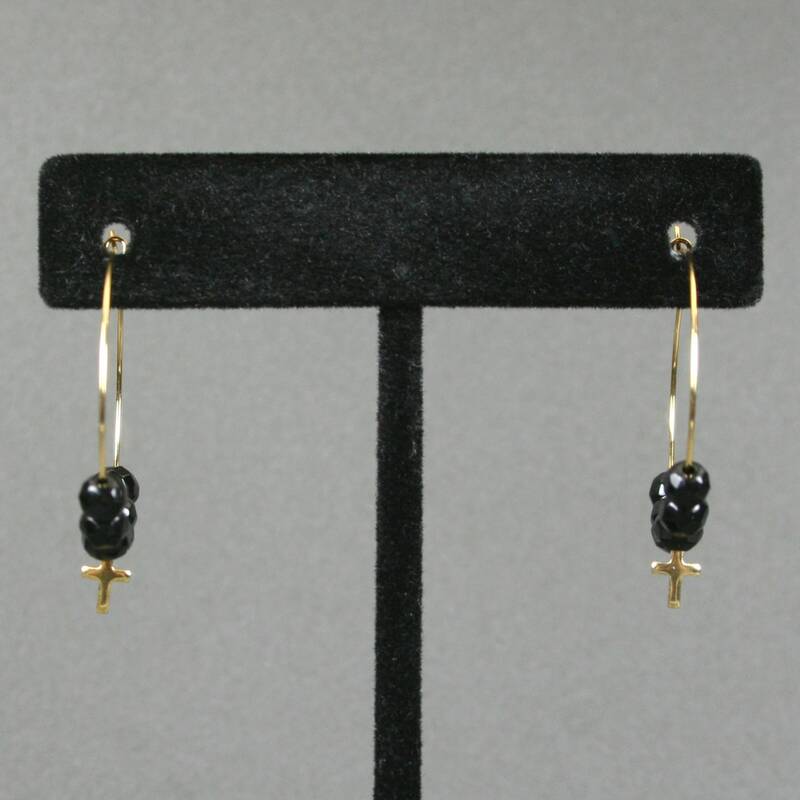 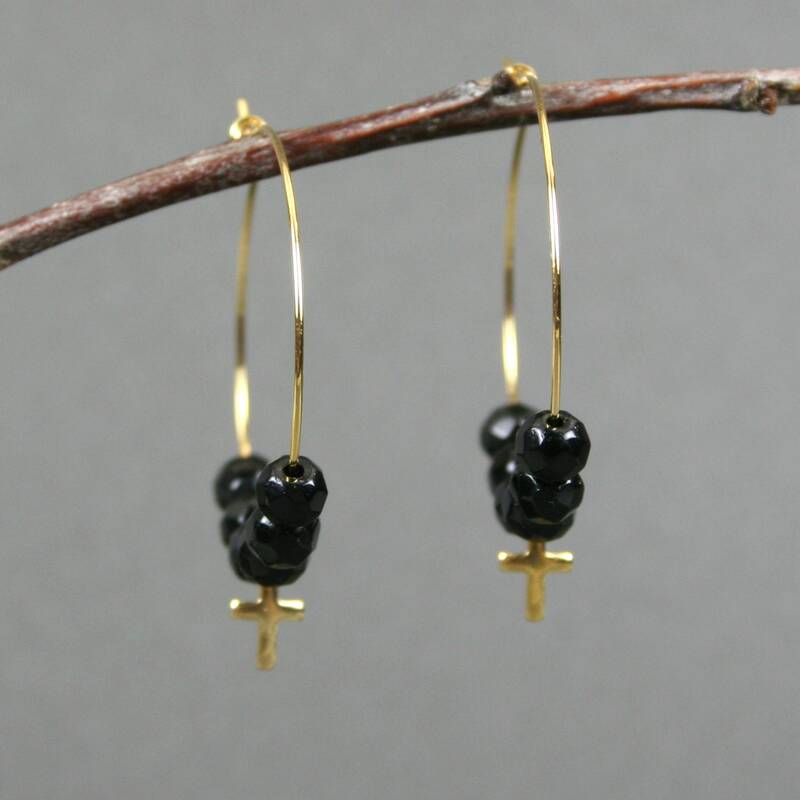 Each earring has a set of six 4 mm faceted round black agate stones on a gold plated hoop ear wire with a tiny gold plated cross in the middle of the set. 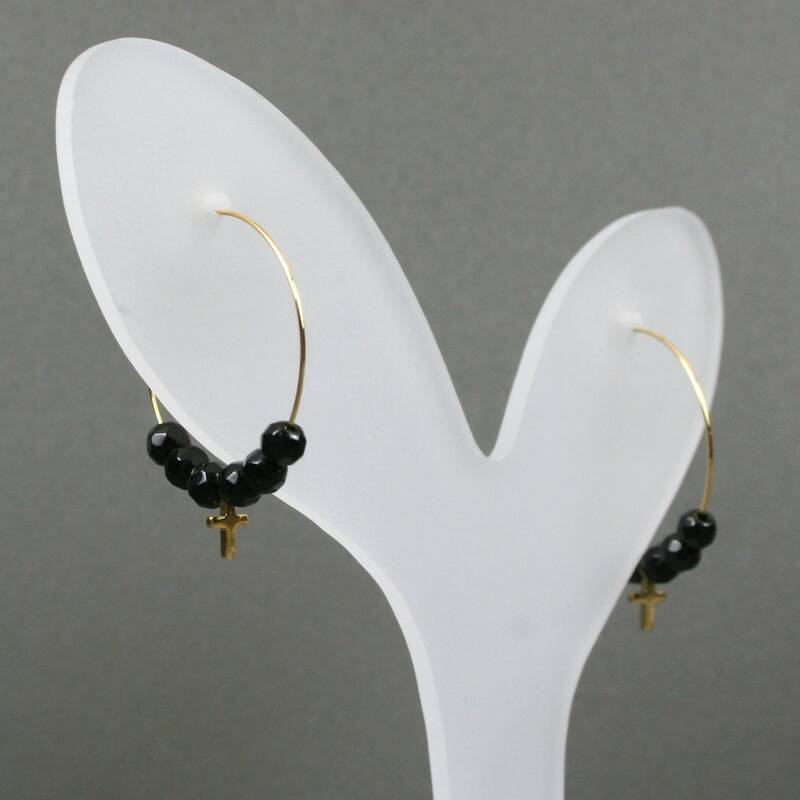 The hoop is 25 mm (1 inch) in diameter and the bottom of the cross hangs slightly below that. 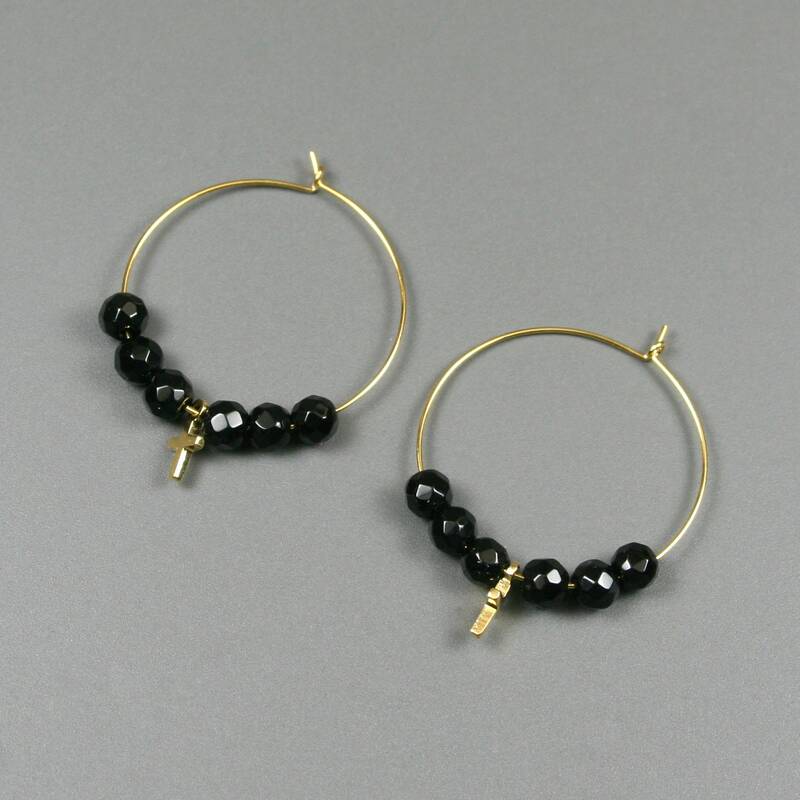 The hoops close with a simple hook of the bent end into the tiny loop on the other end.